Deadline reports that Matt Damon has signed on to star in Alexander Payne’s next film, Downsizing. Not much is known about the project thus far except that the story, written by Payne and his Sideways co-writer Jim Taylor, is “a social satire in which a guy realizes he would have a better life if he were to shrink himself.” (Presumably “shrinking” is meant in the business sense, not in the literal sense, although Alexander Payne’s take on Honey, We Shrunk Ourselves would be a fun footnote in cinema history.) 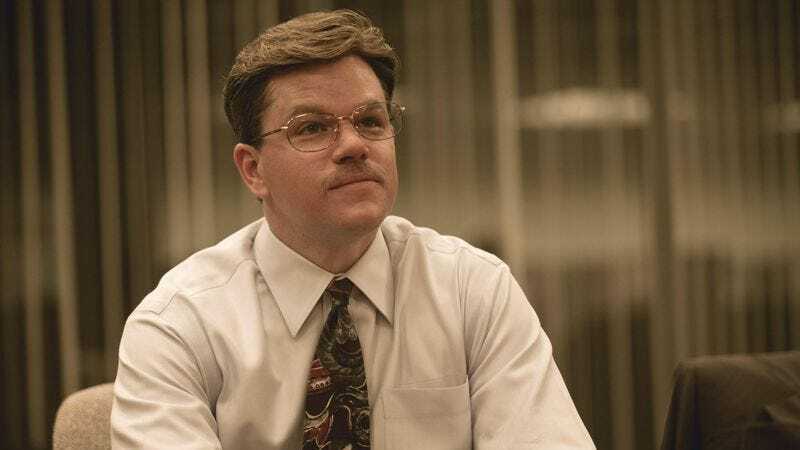 Damon previously played a comedic corporate type in Steven Soderbergh’s The Informant!, and Payne’s movies have a tendency to be nominated for tons of awards, so passing up Zhang Yimou’s Great Wall Of China movie for this one—a consequence Deadline claims is inevitable—may be a wise choice. As for Damon’s many other projects, maybe Matt Damon has access to cloning technology the rest of us can only dream of. You don’t know what Matt Damon’s life is like.